While the value of remittances has indeed fallen, workers are not returning in droves as some feared. Since May, a World Bank project–Listening2Tajikistan–has been calling a selection of Tajik households at regular intervals and conducting a survey aimed at gathering information regarding the impact of the country’s economic slowdown in several areas. As has often been discussed here, a secondary effect of Russia’s economic downturn–a product of low oil prices and sanctions–has been a drop in remittances across Central Asia. Tajikistan relies heavily on remittances and is Central Asia’s poorest state, therefore concerns were high that remittances would fall and workers would return to a country that didn’t have job for them. However, while the value of remittances has indeed fallen, workers are not returning in droves as some feared. In the first six months of 2015, according to the National Bank of Tajikistan (and cited by the World Bank in the most recent Tajikistan Economic Update) remittances dropped by 32 percent in comparison to the same period in 2014. The survey found that the value of an average remittance fell 21 percent between May and September. Remittances ebb and flow naturally over the seasons as does the availability of work–particularly in the agriculture sector–in Tajikistan itself. This can be seen in the survey: the share of households receiving remittances rose as the summer progressed as did the share of households receiving any income in the 10 days preceding the survey. In May, when the survey began only 34 percent of household heads had done any work in the preceding week. By September, that number had risen to 60 percent. The World Bank attributes the corresponding increase in real per capita income between July and September, to “increased self-employment and increase in agricultural activity.” Yet, this increase is not large. According to the survey data published, on May 12 real per capita income was reported as 110.02 somoni and on September 20, it was 117 somoni–a 6.3 percent increase. 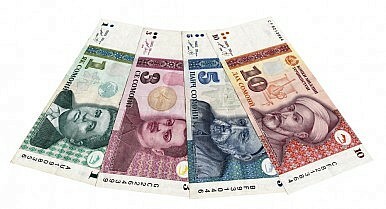 In 2012, Tajikistan pulled in $3.7 billion in remittances–comprising just over half of the country’s $7.6 billion GDP. Since, that percentage has fallen but not by much. The World Bank stated that in 2013, remittances comprised 49 percent of Tajikistan’s GDP. The expectation was, and remains, that remittances will continue to fall but not as a product of better employment opportunities in Tajikistan but economic downturns in the countries to which Tajiks travel for work. This explains the fact that the return migration rate has not exploded–despite the fall in the value of remittances. The survey found that the share of migrants returning, which was about 2 percent in May, rose to just over 3 percent by August and then dropped back toward 2 percent in September. This is good news for those that fear the social and potential security impact of returning hordes of migrants. But, the the overall picture is of persistent bad news for Tajikistan’s long-term economic viability–Tajiks continue to work abroad but for less money. Those in Tajikistan continue to find ways to make ends meat, but it’s not easy. The survey’s “wellbeing” section underlines this point. In May, 67 percent of respondents said they were able to buy enough food. By September that had fallen to 60 percent after hitting a low of 56 percent in August. The slight gains made in poverty reduction over the last few years in the country are at risk as economic malaise continues to blanket the region. Times Are Getting Tougher for Central Asian Migrant Workers in RussiaThe Feminized Farm: Labor Migration and Women's Roles in Tajikistan's Rural CommunitiesCan Central Asia’s Poorest States Pay Back Their Debts to China?Central Asian Central Banks Play with Rates to Boost GrowthTajikistan: The Eurasian Economic Union’s Next Member?